Okay i'll try to made this sound serious, but not causing a panic attack ! Its kind of scary when you have to traveling in the middle of the H1N1 news here and there (WHO raised the level of concern to level 6 since its spreading in all 5 continent or more that 70 countries !!). But sometimes you just can't avoid to be in the country where there's a lot of people infected by this virus. Or you actually already plan the trip when the news about the H1N1 not as much as these days This flu first time hit in Mexico, and then spread through to the continent and as these days human traveling around the world on daily basis the spread of this virus is unstoppable. 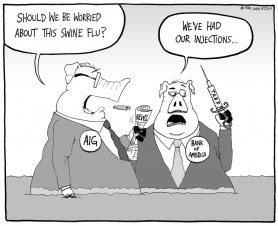 Why is novel H1N1 virus sometimes called “swine flu”? 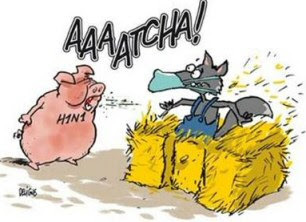 This virus was originally referred to as “swine flu” because laboratory testing showed that many of the genes in this new virus were very similar to influenza viruses that normally occur in pigs in North America. But further study has shown that this new virus is very different from what normally circulates in North American pigs. 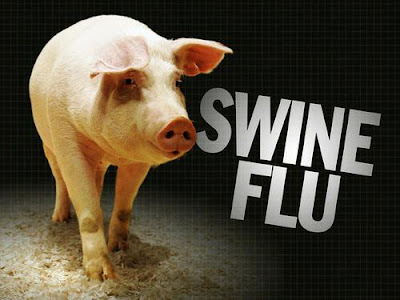 It has two genes from flu viruses that normally circulate in pigs in Europe and Asia and avian genes and human genes. Scientists call this a "quadruple reassortant" virus. Spread of novel H1N1 virus is thought to be happening in the same way that seasonal flu spreads. Flu viruses are spread mainly from person to person through coughing or sneezing by people with influenza. Sometimes people may become infected by touching something with flu viruses on it and then touching their mouth or nose. The symptoms of novel H1N1 flu virus in people are similar to the symptoms of seasonal flu and include fever, cough, sore throat, runny or stuffy nose, body aches, headache, chills and fatigue. A significant number of people who have been infected with this virus also have reported diarrhea and vomiting. Also, like seasonal flu, severe illnesses and death has occurred as a result of illness associated with this virus. There are several things we could do to prevent this flu. What should we do to keep from getting the flu? • Stay home if you are sick for 7 days after your symptoms begin or until you have been symptom-free for 24 hours, whichever is longer. This is to keep from infecting others and spreading the virus further. • Be prepared in case you get sick and need to stay home for a week or so; a supply of over-the-counter medicines, alcohol-based hand rubs, tissues and other related items might could be useful and help avoid the need to make trips out in public while you are sick and contagious. Washing your hands often will help protect you from germs. Wash with soap and water or clean with alcohol-based hand cleaner. We recommend that when you wash your hands—with soap and warm water—that you wash for 15 to 20 seconds. When soap and water are not available, alcohol-based disposable hand wipes or gel sanitizers may be used. You can find them in most supermarkets and drugstores. If using gel, rub your hands until the gel is dry. The gel doesn't need water to work; the alcohol in it kills the germs on your hands. Can novel H1N1 flu virus be spread through water in swimming pools, spas, water parks, interactive fountains, and other treated recreational water venues? Influenza viruses infect the human upper respiratory tract. There has never been a documented case of influenza virus infection associated with water exposure. Recreational water that has been treated at CDC recommended disinfectant levels does not likely pose a risk for transmission of influenza viruses. No research has been completed on the susceptibility of novel H1N1 influenza virus to chlorine and other disinfectants used in swimming pools, spas, water parks, interactive fountains, and other treated recreational venues. However, recent studies have demonstrated that free chlorine levels recommended by CDC (1–3 parts per million [ppm or mg/L] for pools and 2–5 ppm for spas) are adequate to disinfect avian influenza A (H5N1) virus. It is likely that other influenza viruses such as novel H1N1 virus would also be similarly disinfected by chlorine. CDC recommends that travelers at high risk for complications from any form of flu discuss their travel plans with their doctor. Together, they should look carefully at the H1N1 flu situation in their destination and the available health-care options in the area. They should discuss their specific health situations and possible increased risk of traveling to the area affected by novel H1N1 flu. Healthy people may make travel plans as they normally would and take common sense precautions to protect their health during travel. If you are planning travel to an area where cases of novel H1N1 flu are being reported, the following recommendations will help you reduce your risk of infection and stay healthy. Stay informed. Check updates from the sources listed in the “Current Situation” section above. Be sure you are up-to-date with all your routine vaccinations, including seasonal influenza vaccine, when available. Find out about the other health risks and travel recommendations for your destination. Pack a travel health kit that contains basic first aid and medical supplies. Identify the health-care resources in the area(s) you will be visiting. Find out if your health insurance plan will cover medical care during your trip; many insurance companies do NOT cover these costs. CDC recommends purchasing additional insurance that covers medical care costs during international travel and medical evacuation. For more information, see Medical Information for Americans Traveling Abroad from the U.S. Department of State. Remember that U.S. embassies, consulates and military facilities do not evacuate or give medications, vaccines, or medical care to private U.S. citizens during international travel. Do not travel if you are sick. If you have flu-like symptoms, you should stay home and avoid travel for 7 days after you get sick or for at least 24 hours after you stop having symptoms, whichever is longer. This is to keep others from getting the virus. Symptoms of novel H1N1 flu virus are similar to the symptoms of seasonal flu and include fever, cough, sore throat, runny or stuffy nose, body aches, headache, chills and fatigue. Some people also have diarrhea and vomiting. Pay attention to announcements from the local government and monitor the local health and security situation. Be aware that some countries are checking the health of arriving and/or exiting passengers and screening them for illness due to novel H1N1 flu to prevent others from getting sick. For more information, see the Possible International Travel Delays Due to Novel H1N1 Flu Screening Procedures announcement. Wash your hands often with soap and running water, especially after coughing or sneezing. 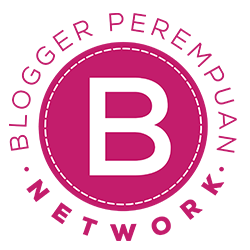 Use alcohol-based hand gels (containing at least 60% alcohol) when soap is not available and hands are not visibly dirty. Cover your mouth and nose with a tissue when you cough or sneeze, and put your used tissue in the trash. If you don't have a tissue, cough or sneeze into your upper sleeve, not your hands. What to do if you feel sick ? If you have severe illness or you are at high risk for flu complications, seek medical care. Visit Websites of U.S. Embassies, Consulates, and Diplomatic Mission to find the contact information for the local U.S. Embassy of the country you are visiting. Avoid further travel for 7 days after your symptoms begin or until you have been symptom-free for 24 hours, whichever is longer. Wash your hands often with soap and running water, especially after you cough or sneeze. Alcohol-based hand gels are also effective. Follow all local health recommendations. For example, if you are sick, you may be asked to put on a surgical mask to protect others or to stay in your home or hotel to prevent the spread of novel H1N1 flu.